So, you’ve watched the last three seasons of Fixer Upper on HGTV – and now you’re excited to start renovating your home. 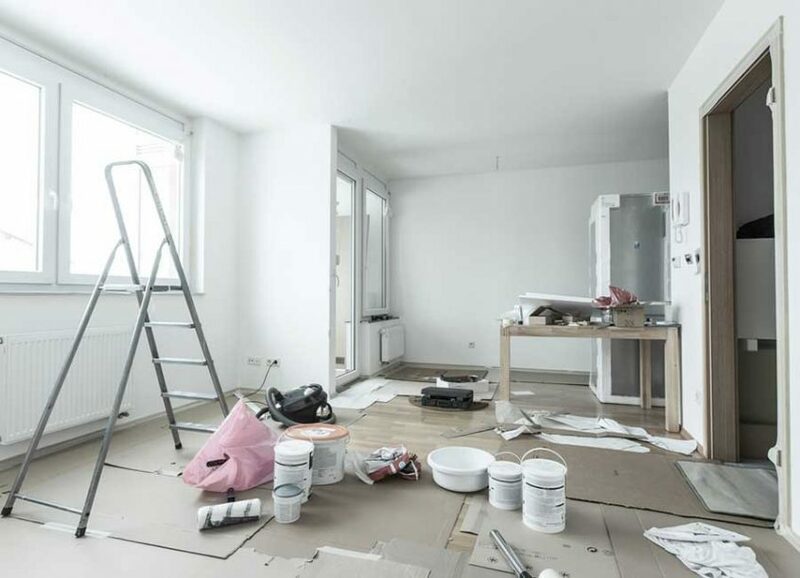 Whether you want to tear out an old bathroom, restore your kitchen, or renovate your living spaces and bedrooms, renovation is an exciting idea! But are you really ready to undertake this task? To find out, you should ask yourself the following questions. This is the first thing to ask yourself. What, exactly, is your plan for your renovation? If you’re restoring an unfinished basement, for example, what is it going to be used for? Do you want to add more bedrooms? A new bathroom? A home theater system? A home gym? You should never go into a renovation without a rock-solid plan. All of the features and functionality of a renovated space should be outlined before work ever begins. If you’re not sure how to create a plan for your renovation, or you need ideas, you can always ask your contractor. They’re sure to have some ideas, based on their past projects, and may even hook you up with a professional designer for inspiration. 2. Have You Created A Budget? So, you’re thinking about renovating your kitchen – and you’ve got dreams of marble countertops. But your budget may only be able to handle laminate or butcher block countertops. Creating a budget for your renovation is the second step you should take before beginning your project. Having a clear idea of exactly how much you can spend will guide your choices for features, materials, appliances, fixtures, and more. If you don’t set a budget “off the bat”, you’ll end up spending more than you meant to – we guarantee it. 3. Are You Aware Of All Required Building Codes And Other Regulations? This is more important than you might think. If you’re adding two extra bedrooms to your basement, for example, they may need to have a minimum number (and size) of windows to meet local codes and regulations for bedrooms. Make sure you’re familiar with local building codes and laws, and how they may affect your project. 4. Have You Planned Your Space With Its Function In Mind? Building a home gym? You’d better invest in some heavy-duty, soundproof flooring, especially if it won’t be located in your basement. Thinking about adding a playroom for your kids? Make sure you choose a carpet that’s stain-resistant, has a thick pad, and is comfortable enough for prolonged play sessions! This may seem pretty basic, but it’s important. If you don’t think through the actual function of your space – and you just plan it based on aesthetics or affordability – you may not get the best results. 5. Does Your Renovation Offer Flexibility For The Future? This is another important aspect of a renovation. You don’t want to customize your house too much – because that makes it less appealing for new buyers. Could the playroom or nursery for your kids easily be turned into a recreation room, or a home theater room? Can that extra storage space be used as a bedroom? Can you turn your basement into a self-contained living space? Keeping your options flexible is a great idea. Not only can you appeal to more home-buyers, you’ll also be able to use your space differently as you continue living in your home. For example, you could turn a child’s nursery into a “man cave” as they grow up, and don’t need it anymore! Consider These 5 Questions – And Get Started With Your Home Renovation! If you can think through these 5 questions before beginning a renovation, you’ll be able to make the proper investment for your particular needs – and the needs of your family. So take another look now, and make sure you know what you’re getting into before you pull the trigger on your renovation!